And not that he seemed to know the rules because all he said was that we should move the ball from one end of the field to the other either by carrying it in our hands or kicking it forward… Of course, years later, I did discover that the game was just something the teacher invented on the fly. I remember taking a liking to the invented game because I always was when I was young the outdoors type. I loved running and I never liked basketball – this seemed like a viable alternative. Of course, when one Brother thought he would form a football team for kids, I promptly joined up. I did not even know what football was. All I knew was that we would be running on the field; and that was sufficient to catch my interest. This game, the Brother told us, did not even bear a resemblance to rugby. It was called football. It also had rules, and I was surprised when we learned that we would not be allowed to use our hands like in the game that my PE teacher invented. That first time I joined a football team for kids, we used this orange ball that was not unlike a volleyball but was smaller and heavier. 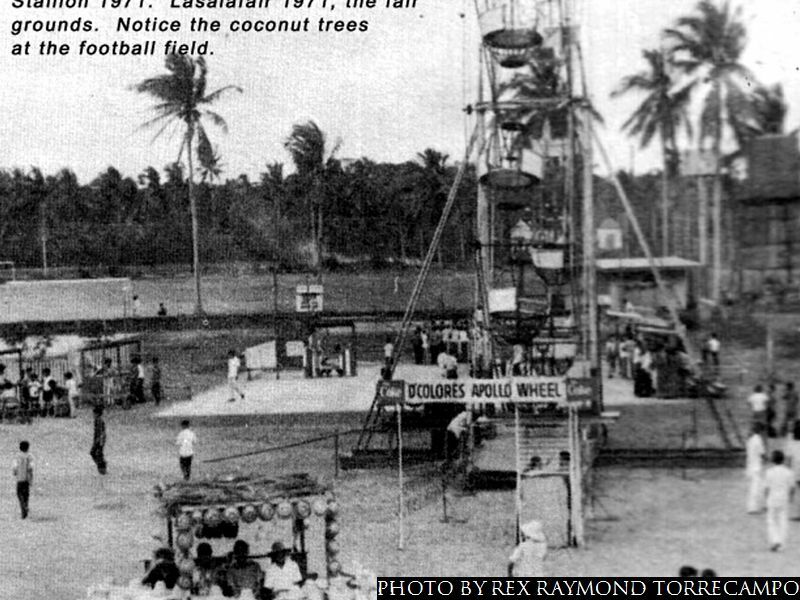 In fact, we used to jestingly refer to it as buko. This was not necessarily just a reference to its size and round shape. As I became more engrossed in the game, I discovered that the small round ball that we first trained with was actually a size 3. The standard size for an adult game is size 5. I continued to work with size 3 balls even when I was in high school; albeit, I did not really realize until I was actually coaching that working with a smaller ball was really perfect for developing ball control. Lipa – in the sixties during which this story is set – used to be very, very agricultural. The football field that we played on used to be a coconut grove; and there were still coconut trees that lined the court itself. Occasionally, the field would be littered with dry nuts that fell off the trees. We would kick these away as well! The kids who subsequently trained under me over the years, they had absolutely no idea what it was like for us. We came to training wearing our PE uniforms, including those “high-cut” canvass Converse shoes that would have been more appropriate on a basketball court. Anybody who could afford spiked shoes was sikat, not only because these were rare – but more because these were prohibitively expensive for most kids’ parents to be able to afford. Passing was something we wanted to be able to do; but we were just never taught how. None of my coaches were formally trained; so while we were taught the basics like how to trap, head and shoot the ball, moving cohesively as a team was something we found problematical – particularly in the early years. 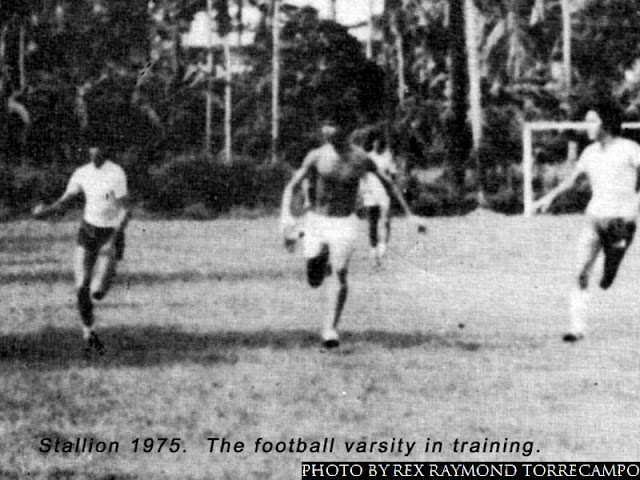 Thus, the sikat players were those who could kick the ball farther up-field than everybody else. When the ball came, everyone shouted at you, “Bomba! Bomba!” That meant for you to swing your foot, say a silent prayer and kick the ball as far forward as possible. It is strange now that I come to think about it that I am the only one of my class who pursued the organized game. I know the football that we played left a lot to be desired – no more than kick and rush – but it was a fun game that we typically played during Recess and even lunch break. My Mom – old school that she was – never really gave me the support that I felt I could have used when I was already playing varsity football. Albeit, when I was already in college and representing my school, I did overhear her boasting to her comadronas, “Iyang anak ko, player ‘yan sa NCAA!” Aba’y iyon pala naman, eh! Eh bakit pagkakabarat when I was asking for money to buy spikes? 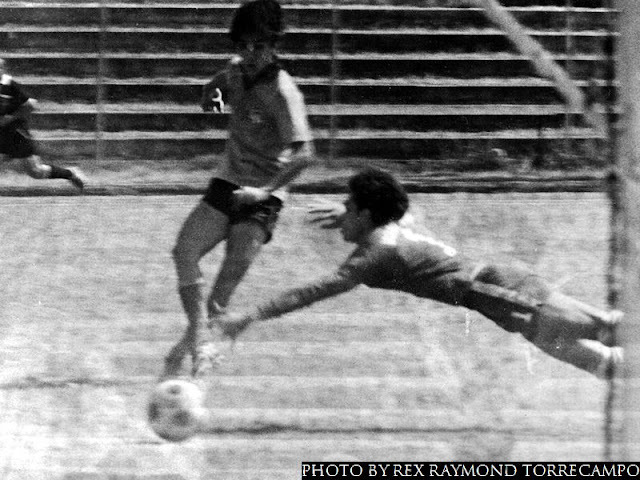 I also had this teacher who was brazen enough to tell me, “Football ka ng football, hindî naman mapapagperahan iyan!” That was so myopic a point of view if ever I heard of one; football players are – of course – among the most highly-paid athletes in the world. For those who feel obligated to argue that I happen to live in a country where there are no professional leagues, I will only say one thing: who cares about the money? 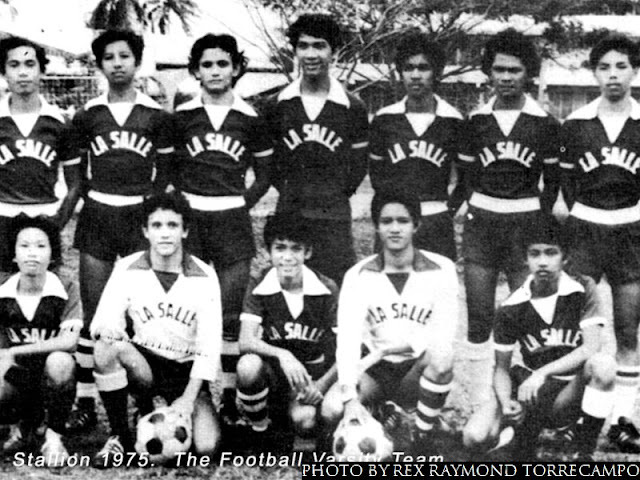 Money, to put it plain and simply, is really the last thing that footbuko – este – football is and will ever be about!